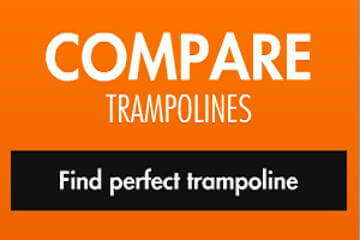 Many will recognize BouncePro for their large trampolines that are made to quite a high standard. This time, they’ve decided to launch a children’s model as well. And they didn’t compromise on quality with this one, as well. 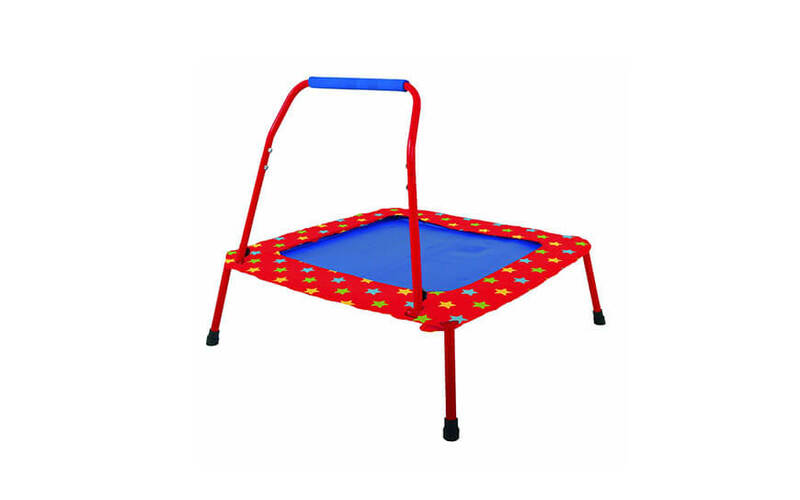 The trampoline comes in lively colors, while still remaining in the domain of tastefulness. 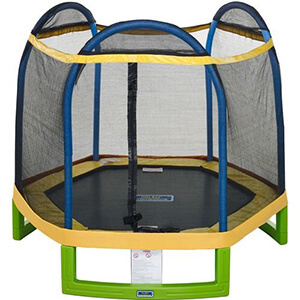 It is small and compact; at first sight you can see this is a robust trampoline. The shape itself is not classic round, but hexagonal instead. But considering its small size, this is barely noticeable. The weight limit on this trampoline is 100 lbs. This is enough given the fact it was designed for ages 3 to 10. 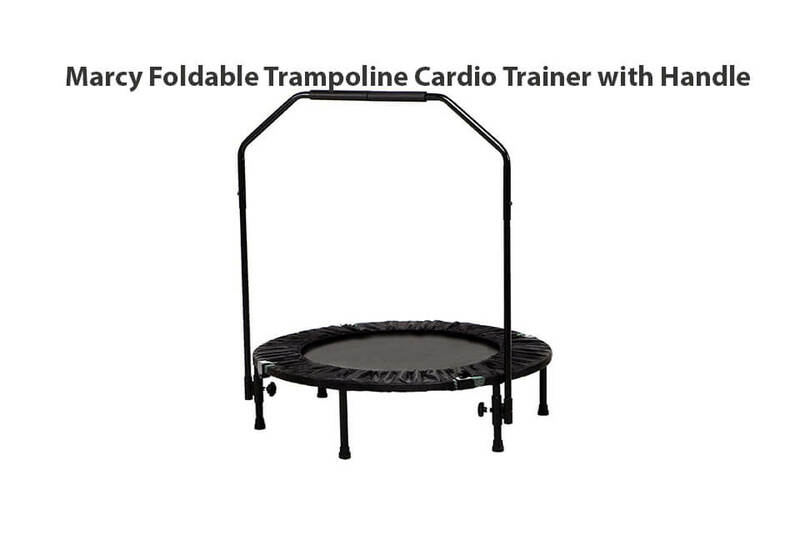 In line with that, the trampoline is quite light and portable. It can be used both inside and outside, although we’d keep it away from rain and sun, even though the steel tubing is galvanized. 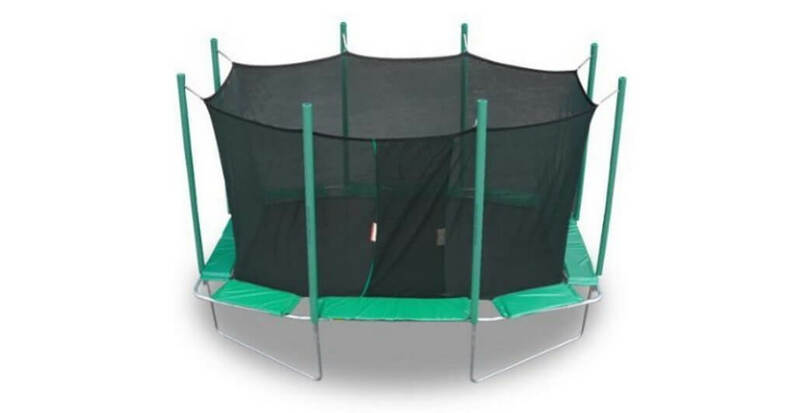 The trampoline still uses steel tubes, but they are enclosed in green plastic casings that are supposed to add extra stability to the trampoline. 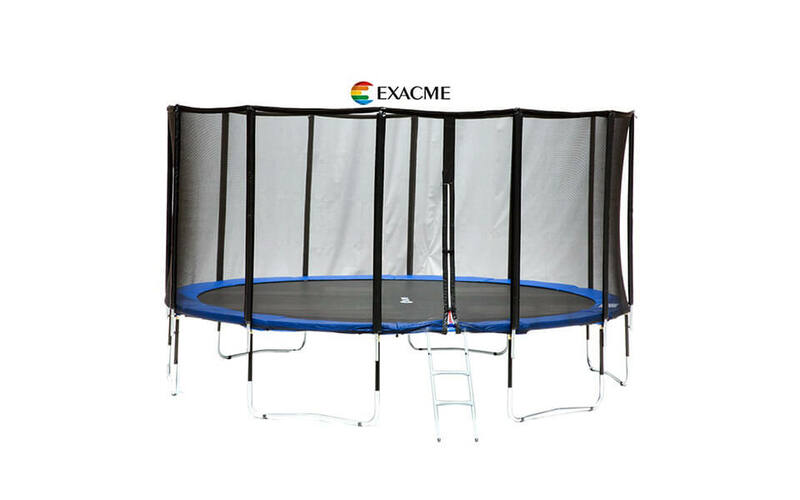 The trampoline meets the relevant ASTM safety criteria. The enclosure features three arches that support a fairly thickly woven enclosure netting. The enclosure netting goes high and there is no risk of a kid bouncing above it. This truly is a good enclosure, but the springs still remain inside of the enclosure. This is mitigated with the use of ample padding. The frame poles are covered in foam that looks like it doesn’t take kindly to rain or UV rays. However, it’s easily replaceable even if it cracks. Entry and exit is facilitated by the use of zippers on the enclosure netting. The entrance is about 25 inches high, so most kids will be able to climb it. 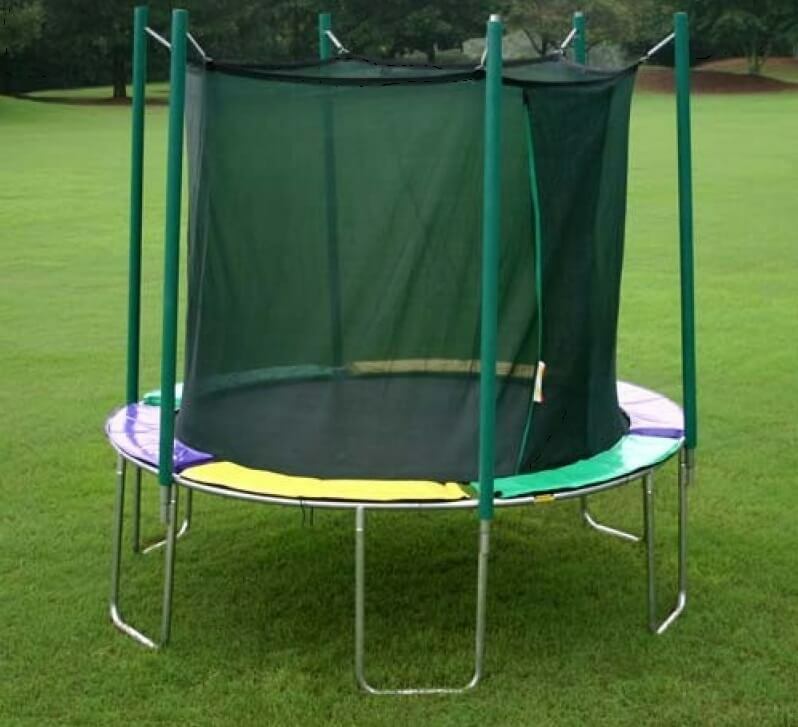 You should not set up this trampoline without the enclosure. 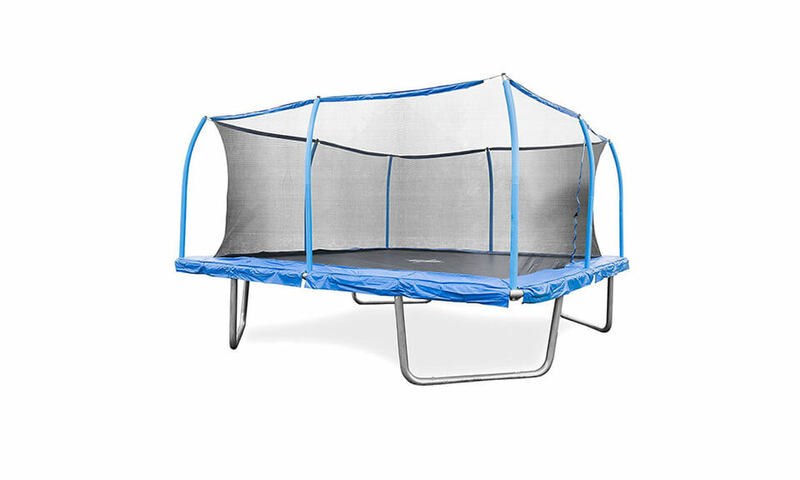 Overall, the trampoline is about 6 feet high, meaning it will fit in most rooms. As expected, the bounce is light and measured. This makes the trampoline safe, if a tad unexciting. 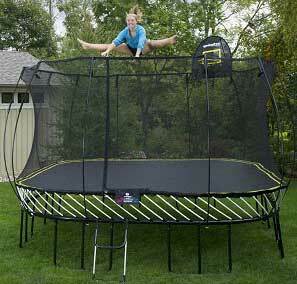 The trampoline itself is 16 inches from the floor, so the bounce cannot be as responsive as with the adult models. There is no risk of bottoming, however. 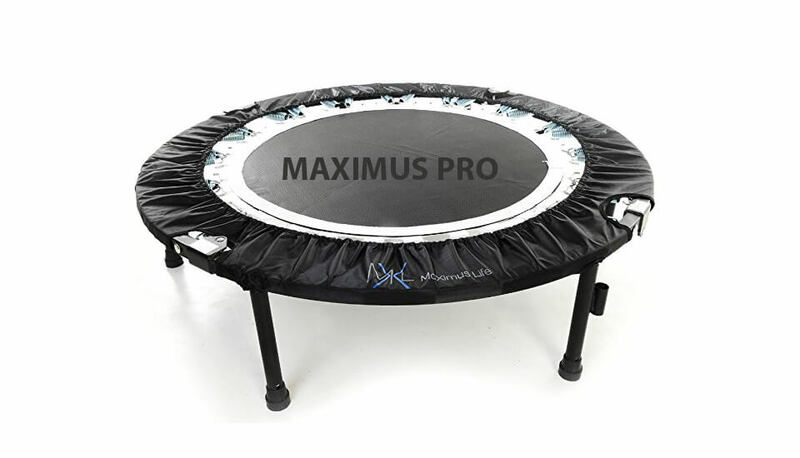 The bounce isn’t noisy nor squeaky, which is important for indoor use. 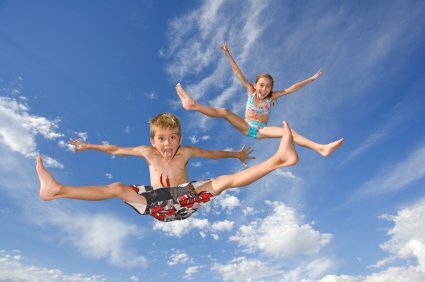 The trampoline never tips or loses balance, even with vigorous jumping kids are known for. Overall weight limit of 100 lbs. 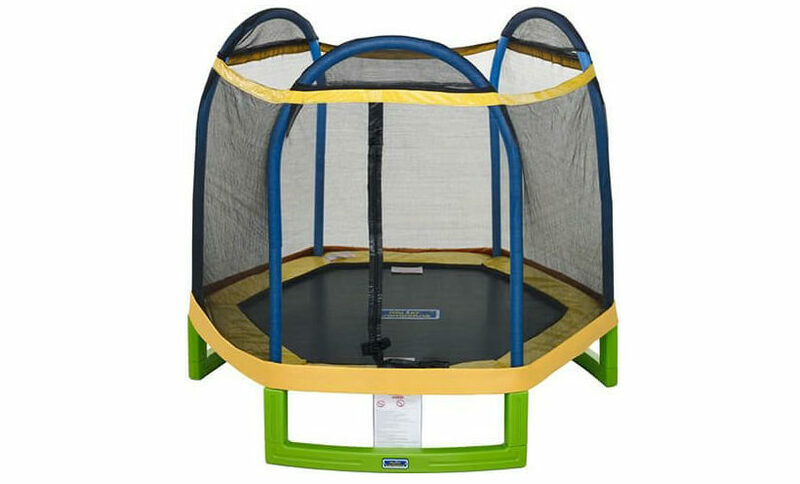 is not “epic” but as this is kids trampoline we had no complaints whatsoever. The springs are galvanized and they should not rust. They are adequately lubricated, contributing to overall silent operation. If you notice any squeakiness, apply some grease. The mat is of standard quality. As usual, it is made from polypropylene and it’s not excessively hard. 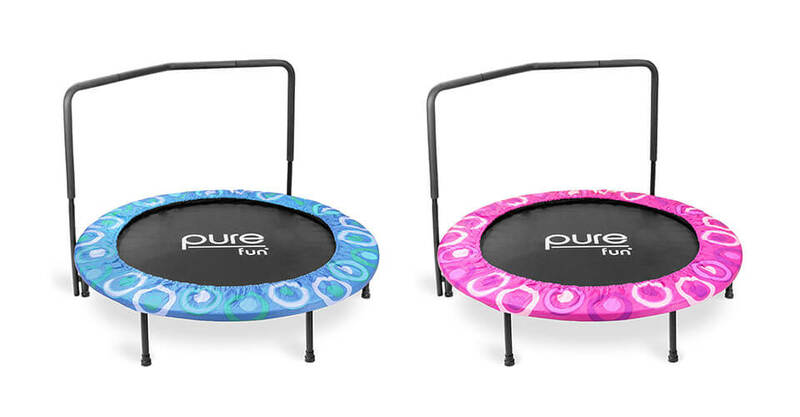 The bounce is softer overall thanks to a hexagonal instead of a round shape. The assembly is quite easy thanks to clear instructions and an included spring pulling tool. Still, the last few springs can be difficult to get right, so we advise that you find someone to help you. It should not take more than an hour in the worst of cases. In case of missing parts, which can sometimes happen, the manufacturer is quick to send replacement parts. Aftermarket maintenance, however, is tricky at best. There aren’t many spare parts available so treat this as an expendable item. It comes with a 1-year warranty on the frame and the mat. We didn’t make a warranty claim, but we expect it to be a hit-or-miss process. 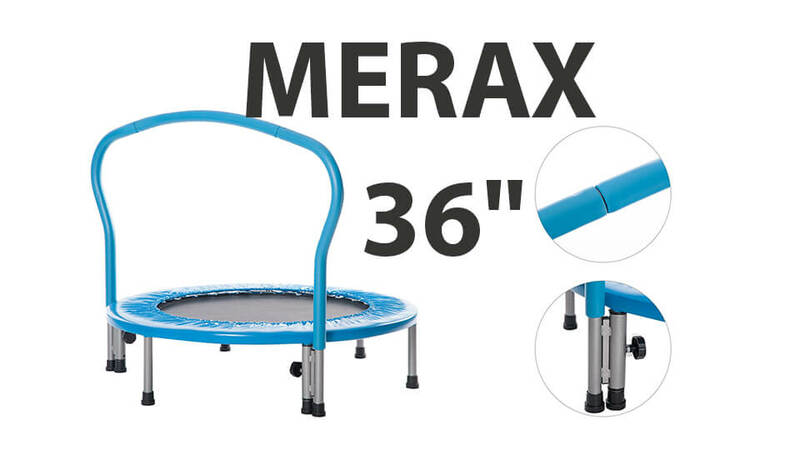 Overall, this is a very good entry level trampoline for children. It looks nice, it’s safe and the build quality is above average. Yes, the colors will inevitably deteriorate when left in the sun, but all the important structural parts will stay sound. Its size is just right for the age range it is intended for. Plus, it can easily be moved inside during the colder months. All that comes at a very reasonable price. 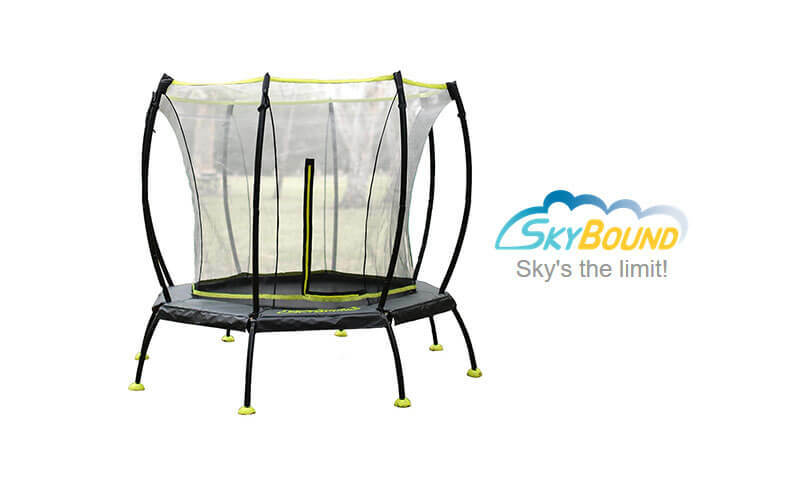 We definitely recommend this trampoline for the younger audience. It is a comprehensive package that doesn’t lack in safety and delivers good fun. Safe and the build quality is above average.